It was the Christmas season in 1980. I was in Germany where I was in the 18th month of my mission. It had been a particularly hard few months. My companion and I were living in a small coal town in central Germany – at very tough place to serve. 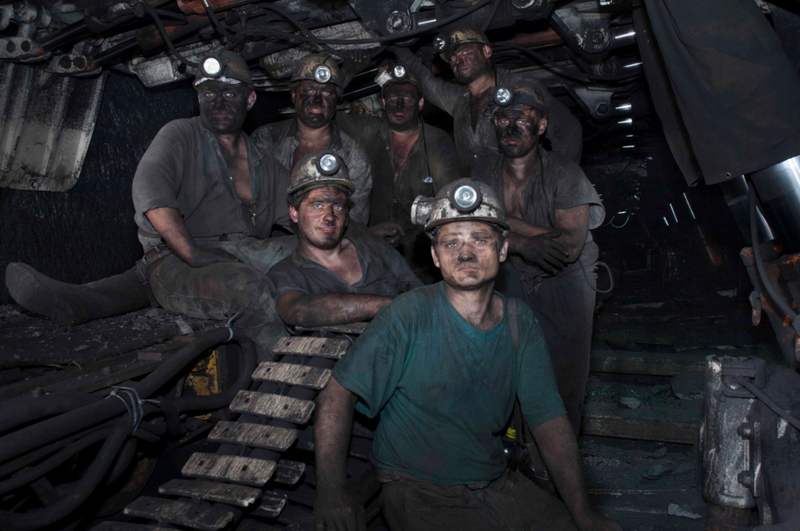 Most of the men in the city worked 8-10 hours a day deep in the coal mines. They submerged into the mines before the sunrise and re-emerged after sunset. During these late fall and early winter months, these men lived in darkness. As the husbands, fathers, and sons, toiled in the darkness, the wives and children also became cloaked in gloom of this dismal town. Happiness for these people was slippery. Patience for each other ran thin. Emotions were raw. As a result, our missionary work suffered. We spent hours going door to door, speaking to people on the street, striking up conversations on the bus, trying anything we could to spread the gospel to a tired and discouraged people. But day after day, week after week, we encountered nothing but rejection. We became as discouraged and depressed as our coal miner neighbors. Of course, my companion and I were too young and inexperienced to understand that this universal rejection was less personal and more the result of the natural dreariness of winter in this town. So, over time, we became frustrated and impatient with the people. As Christmas neared, I was so discouraged that I had blocked from my mind any thought of the Christmas spirit. I was simply numb and impervious to the feelings of hope and love that are a vital part of this season. Unbeknownst to us, our mission president had arranged for all missionaries to assemble in the large outdoor shopping mall to sing Christmas carols. I was not thrilled. I was quite bitter towards the Germans. I had a natural aversion towards singing. But, I had no choice. So all missionaries throughout our mission traveled to Bonn, Germany. We arrived at the appointed hour and I was immediately impressed with the setting our mission president had arranged. There was a large stage that could hold 200 missionaries. It appeared almost like an ancient stable. This stage was set in the center of this ancient outdoor mall. 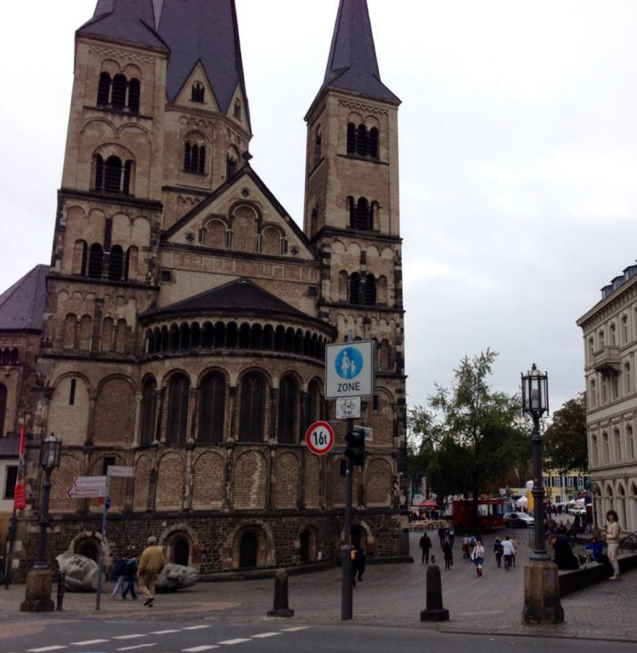 We stood in the shadows of two beautiful cathedrals and within view of the ornate medieval city hall. The mall was packed with hundreds of Germans completing their Christmas shopping. The air was filled with the smell of roasting chestnuts and other aromatic German holiday treats. Slowly, my hardened soul began to thaw a bit and I felt an inklings of the Christmas spirit. But then we had to sing. What’s worse, we had to sing to the Germans with whom I had little compassion. As we climbed onto the stage and started to sing. The Germans did exactly what I thought they would. The ignored us and moved by as quickly as they could. Gradually, a handful of people stopped to listen. Then more. Soon, our missionary choir become the focal point of the mall. It seemed as though all shopping had ceased and everyone had gathered around our stage. For several minutes we sang carols in English and German while the people joined in and then shouted out requests for the next carol. For 10-15 minutes we were no longer missionaries and Germans. We were a single choir all signing together and sharing a common experience. As our time to sing came to a close, the mission president had us turn to the last song in our book: Stille Nacht (Silent Night). This is a revered carol among the Germans. We started to sing and there was a hush about the crowd. Men removed their hats. The attitude of our audience changed from joyful to worshipful. Our large audience joined with us after we complete the first verse. Soon, that illusive spirit of Christmas that was so far from me as we started signing energized my entire body. I was not alone. Many of my fellow missionaries had tears streaming down their cheeks as we sang of Mary, Joseph, and the sleeping baby Jesus. As I scanned the audience, it could see that many of them were also overcome with emotions as they sang with us. 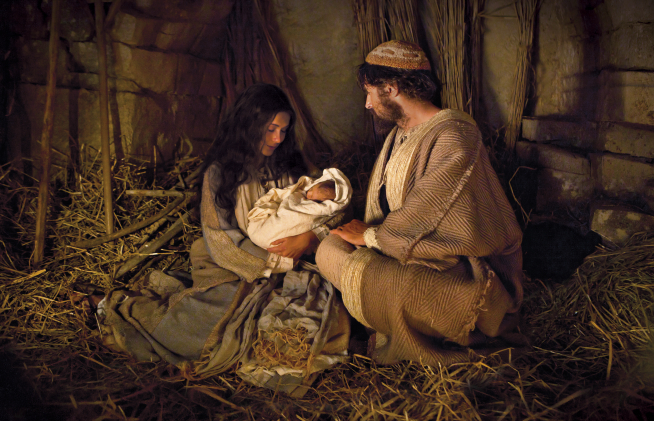 For a brief moment we all enjoyed the sweetness of this simple Christmas season.